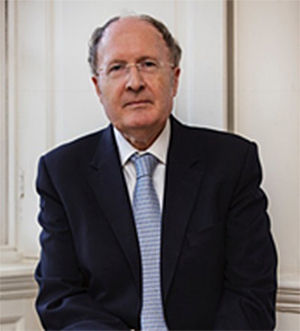 Sir Gregory Paul Winter is one of the world’s leading scientists who was a pioneer in the field of antibody engineering and modification technology. He invented techniques to humanize antibodies for therapeutic uses, which later led to the creation of cutting-edge therapeutic drugs. The drugs are now widely used in clinical disease treatment. Antibodies, in the past, could not be used to treat humans as they were produced from hybridoma, a cell extracted from laboratory animals which human body rejected. Sir Gregory developed techniques to genetically alter the molecules of those antibodies so that they were compatible with human immune system when injected into human body. These newly developed antibodies were called Humanized Therapeutic Antibody The advances in the use of humanized antibodies as therapeutic drugs have provided new ways to prevent and treat several diseases, including immune disorders, degenerative diseases, and different types of cancer. There are now more than 50 new antibody-based drugs in clinical use. Adalimumab, for example, is used to treat inflammatory diseases such as rheumatoid arthritis, Crohns disease, and plaque psoriasis. The drug is now reported to be the top selling drug in the world. Another example is Belimumab, which is used for the treatment of chronic lupus – a life-threatening auto-immune disease. It is the first new drug for lupus in 50 years. At the current rate, 3-5 new therapeutic antibodies are being approved each year. The application of therapeutic antibodies ranges from treatment of illnesses in small group of people such as paroxysmal nocturnal hemoglobinuria to illnesses of million patients such as cancers, multiple scleroses, asthma, and rheumatoid arthritis.